Ever want to be the very best, Like no one ever was? Here is your chance, Pokemon Go! Puts Pokemon in the real world for you to try to “Catch Em All”. “Venusaur, Charizard, Blastoise, Pikachu, and many other Pokémon have been discovered on planet Earth! Pokemon Go! Is an AR (Augmented Reality) game that uses your smartphone sensors to give you a real world feel of hunting pokemon. One of the coolest things about Pokemon Go! Is that it uses AR technology to place Pokemon in the real world. On the graphics side of things the Pokemon look really polished and, after the most recent update they look even better. Battle animations could be better and more fluid but it's plausible. It appears since the Nintendo Wii, it has always been Nintendo’s Dream to get kids off their asses and moving around to play games. With Pokemon Go! It is essentially what you have to do. You won’t find many pokemon in your house, and I doubt where you live is a gym unless you are an Obama, or you live at some other US Government building / Historical Landmark / Park / etc. Basically the game tracks you via GPS while you venture through the real world. Pokemon appear just like do on the Gameboy / Nintendo 3DS. 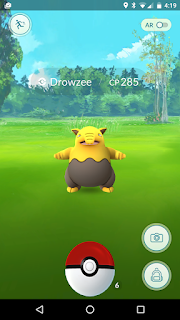 It is actually more reminiscent to the Safari Zone areas, where there is no battling wild pokemon but you can give them Raspberries or toss a pokeball (great ball, ultra ball) and try to catch it. Tossing a pokeball is similar to the game paper toss that everyone was playing back in 2008. Leveling up your Pokemon is a bit of a task. When you catch a Pokemon you will get 3 species candies. 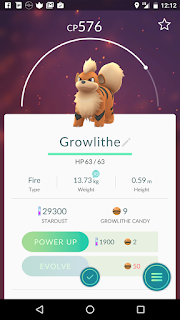 You use the species candies to power up your pokemon or you can use them to evolve them. You can also transfer pokemon to the professor to do who knows what, for a single species candy. The problem imo it takes way too long to obtain certain species candy. For example if your starter pokemon was a Charmander you will only have 3 candies. To get a Charmeleon you will need 25 candies. In other words you will have to find another 6 more charmanders. If you wanted to get a Charizard you would need to find 25 more charmanders or Charmeleons (Note that these are all really hard to find.). 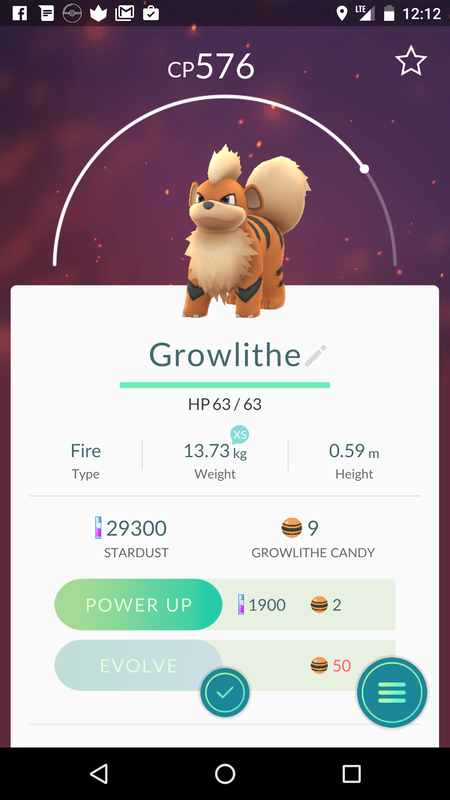 Another, and probably one of the more fun aspects of the game is taking over Gyms. This is accomplished by going to a rival team’s gym and whipping out all of the hit points and then putting your own pokemon in there. Overall the gameplay is fun and easy to get into but lacks instruction of how to play. The game takes a big hit here… While the music isn’t bad here it is very uninspiring. Personally i just play my pokemon themes playlist via Spotify and turn off Pokemon Go!’s music. The Pokemon make the same sound effects that they made in Pokemon Yellow from way back when (and yes Pikachu is the exception just like in yellow). I’ll just put it this way… This game is very addicting. Even if you never played a pokemon game before it is fun just getting out and catching monsters with friends. The game is very easy to pick up and play. Pokemon Go! Is Currently holding a 3.5 between the Google Play Store and the Apple App Store. This game was tested and reviewed on an Android Google Nexus 6.